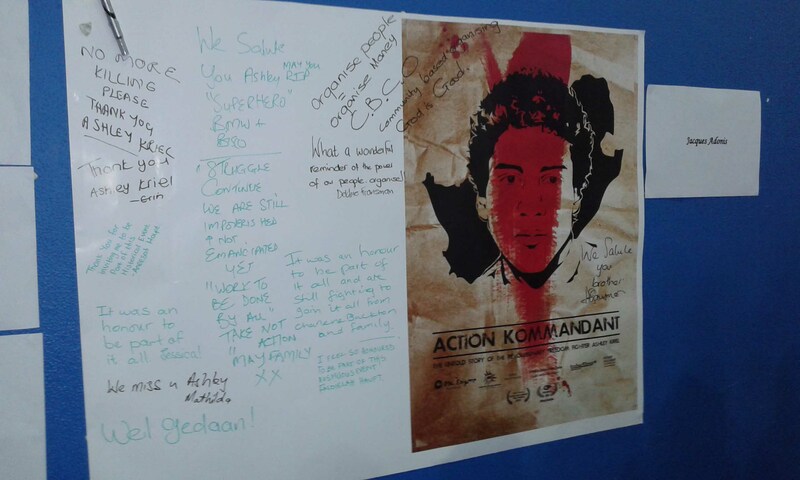 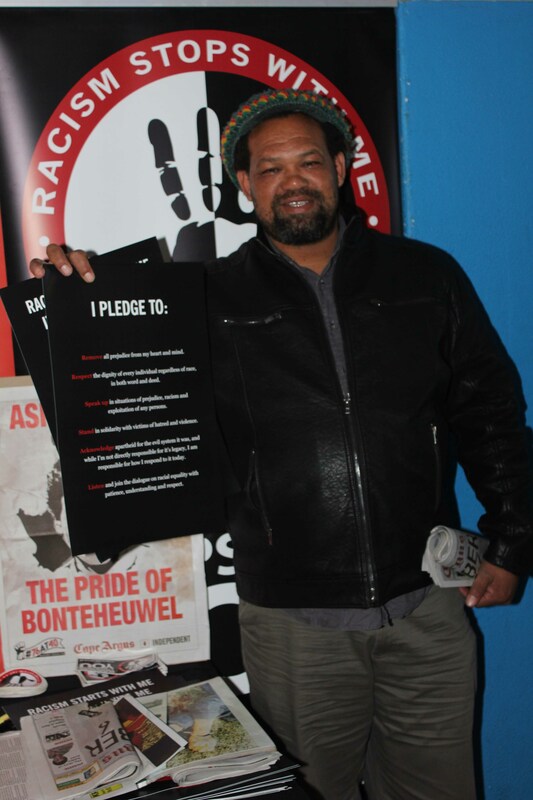 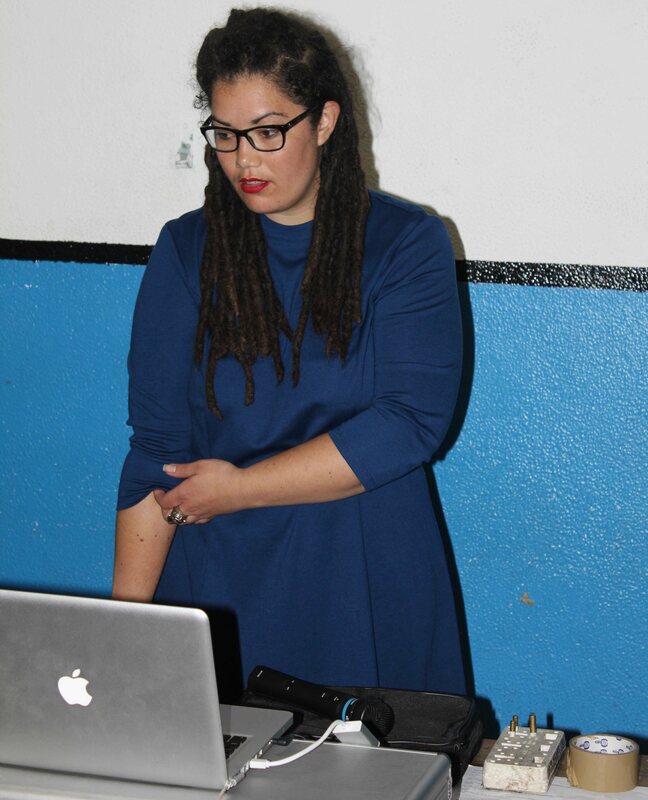 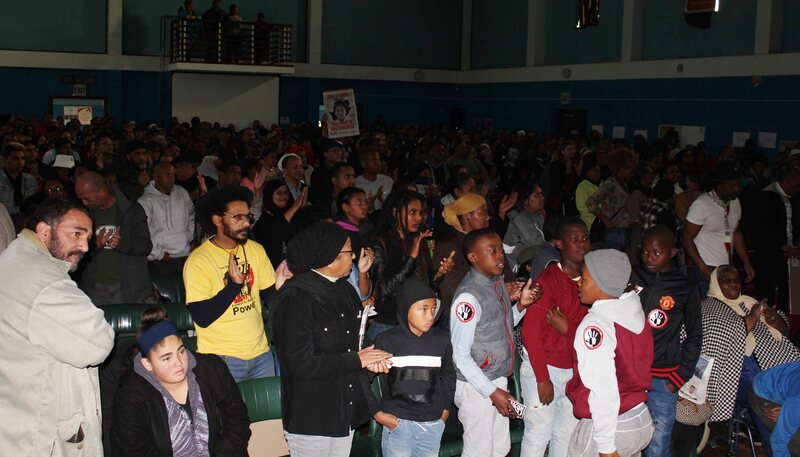 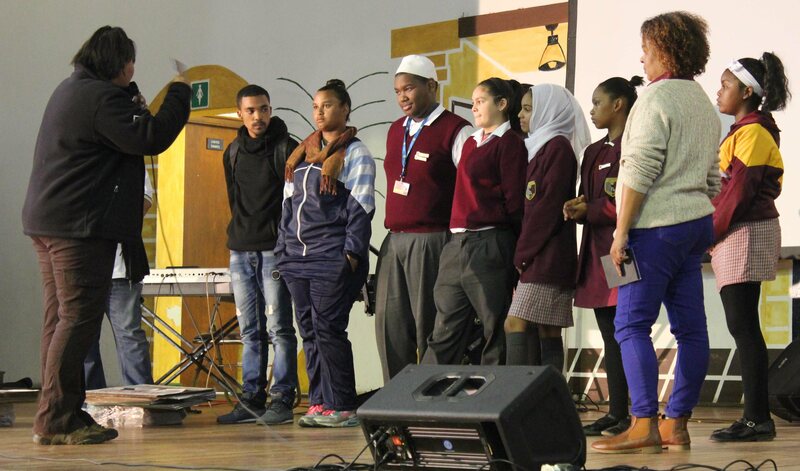 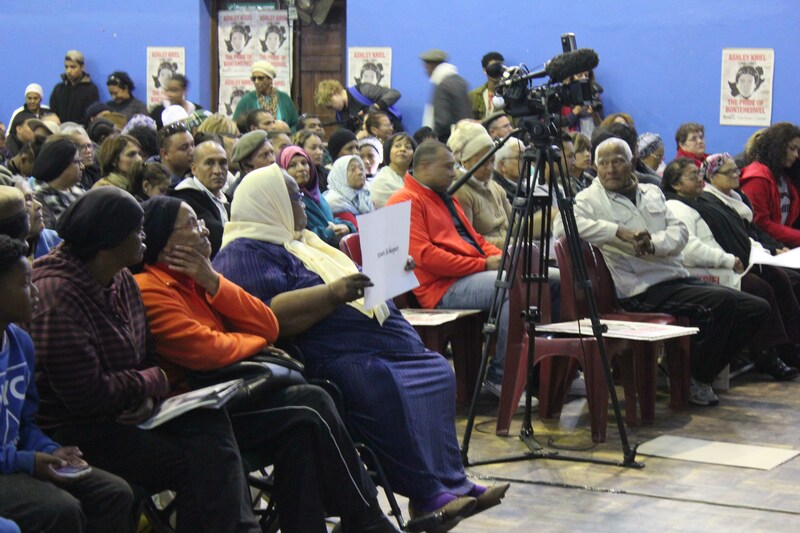 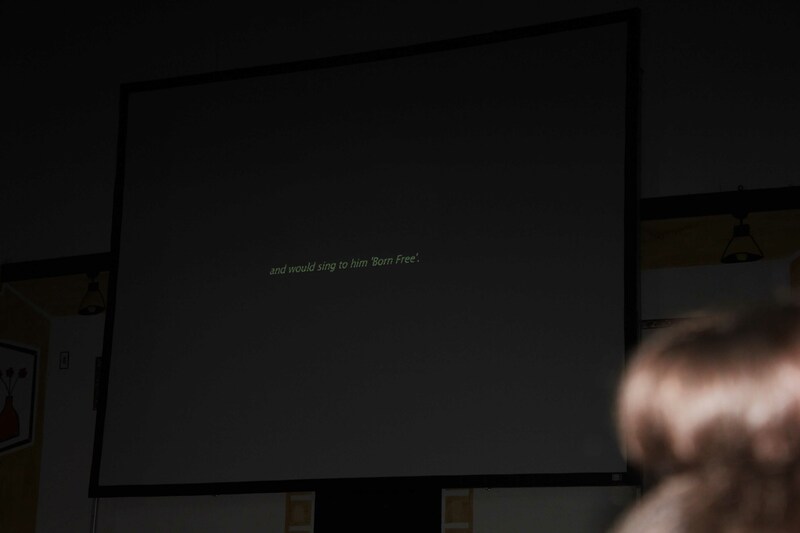 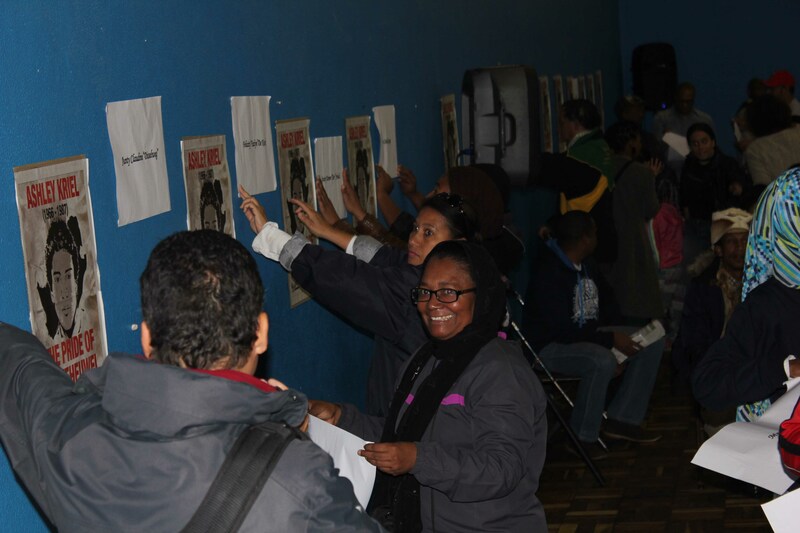 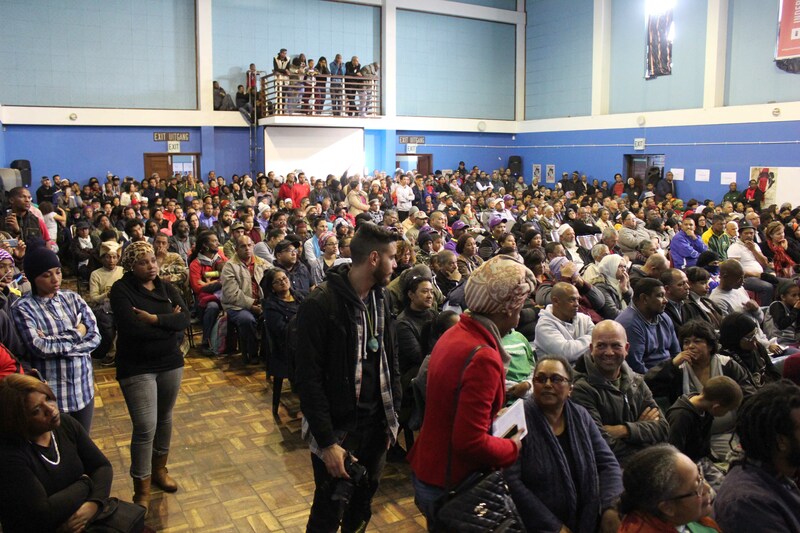 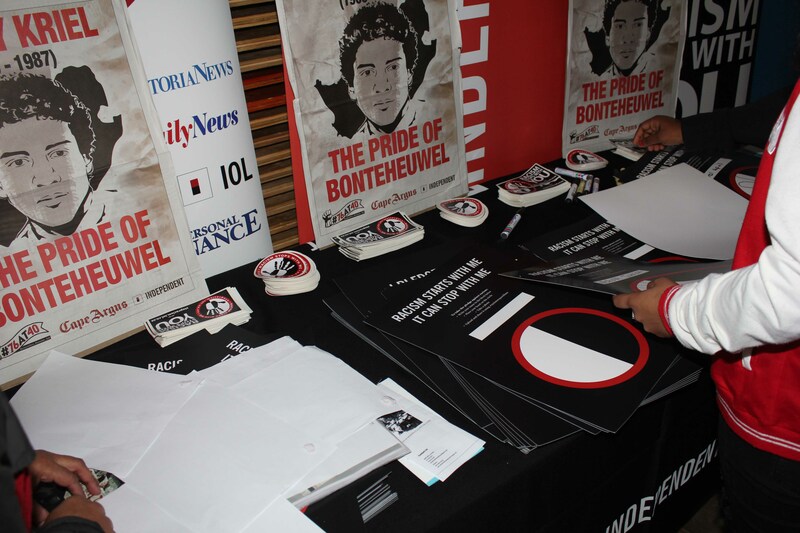 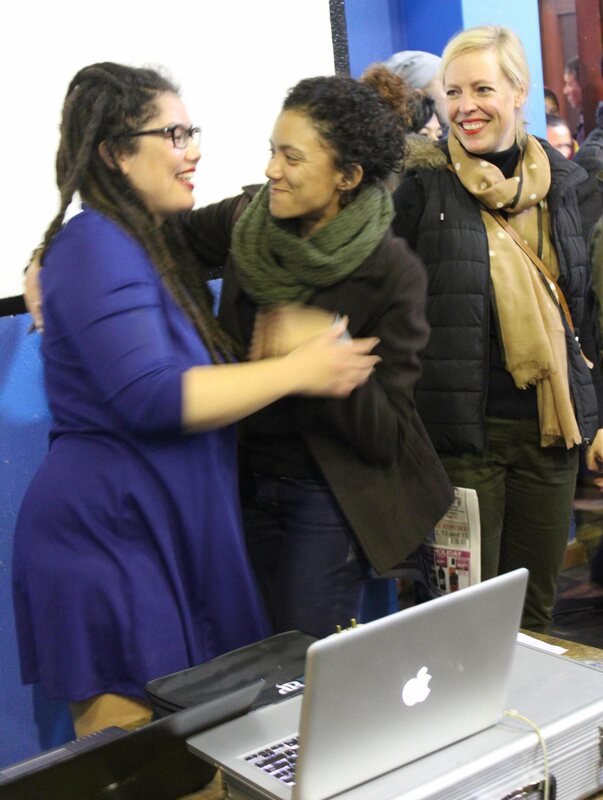 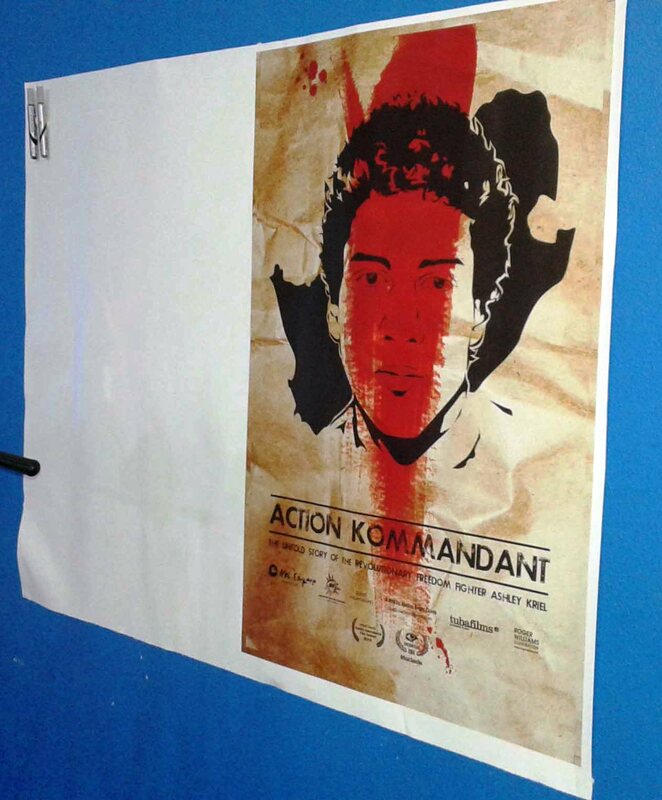 After its international premiere at the Seattle Film Festival, after 7 sold out screenings at the Encounters Film Festival and after winning the audience award for Best South African Film at Encounters, Action Kommandant finally came “home to Bonteheuwel” with a moving public screening on Youth Day, 16 June 2016. 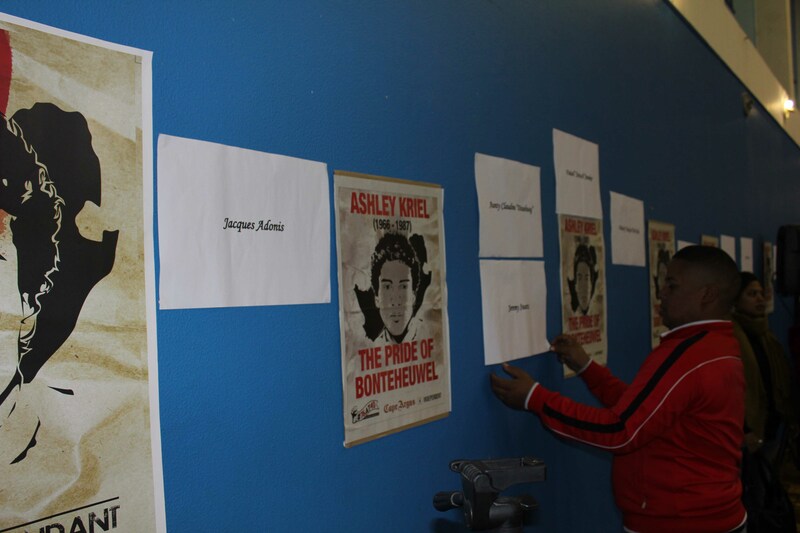 The red carpet entrance of the Bonteheuwel civic made way into the foyer which was turned into an exhibition hall. 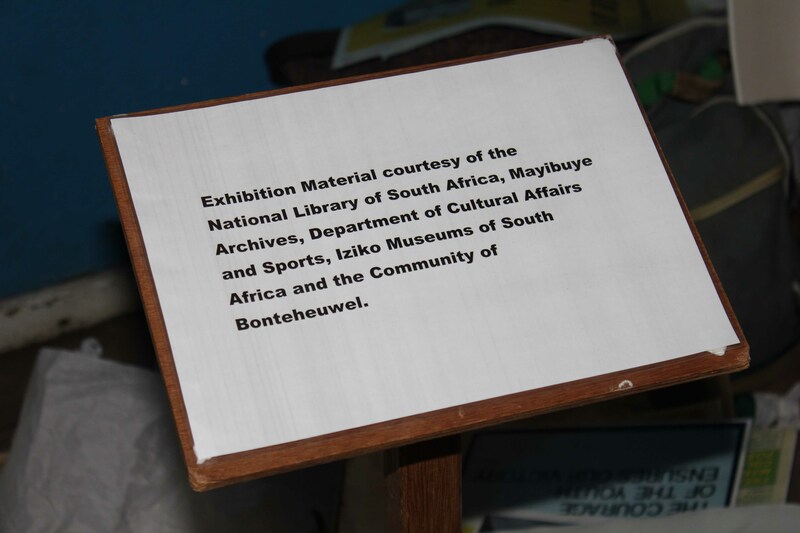 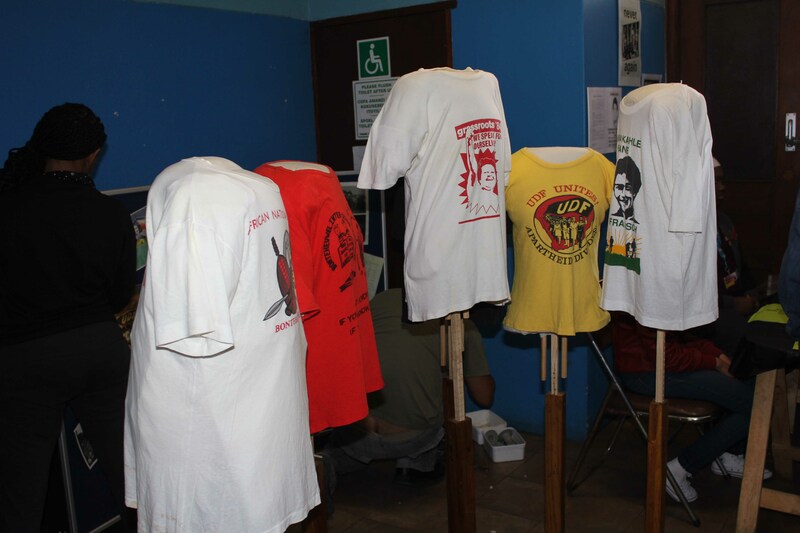 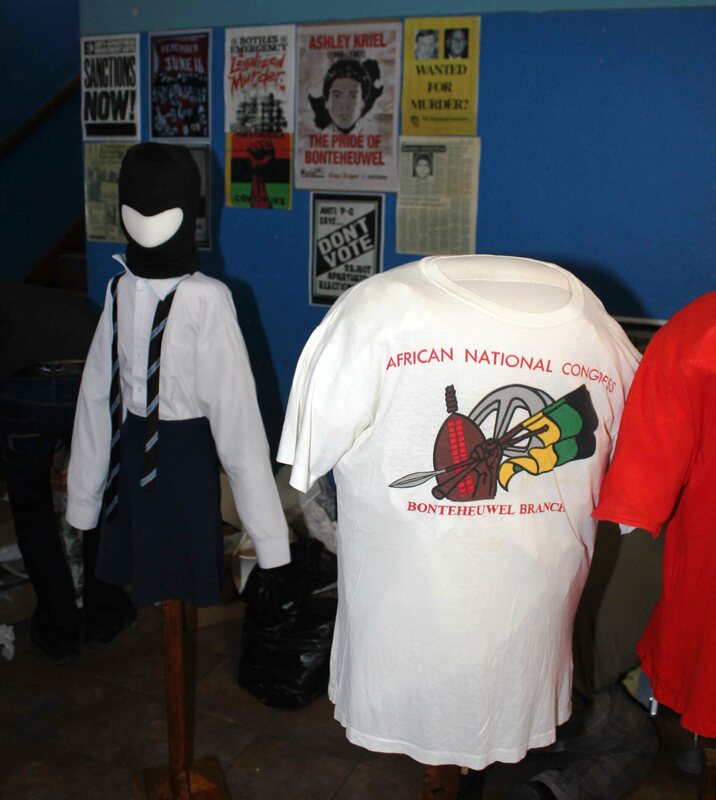 On display were items from National Library of SA, Mayibuye Archives, Department of Cultural Affairs & Sports, Iziko Museums & the community of Bonteheuwel. 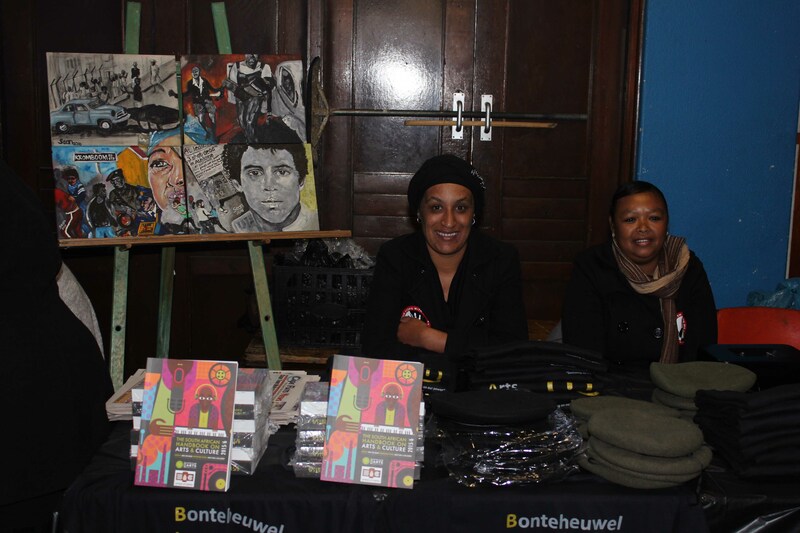 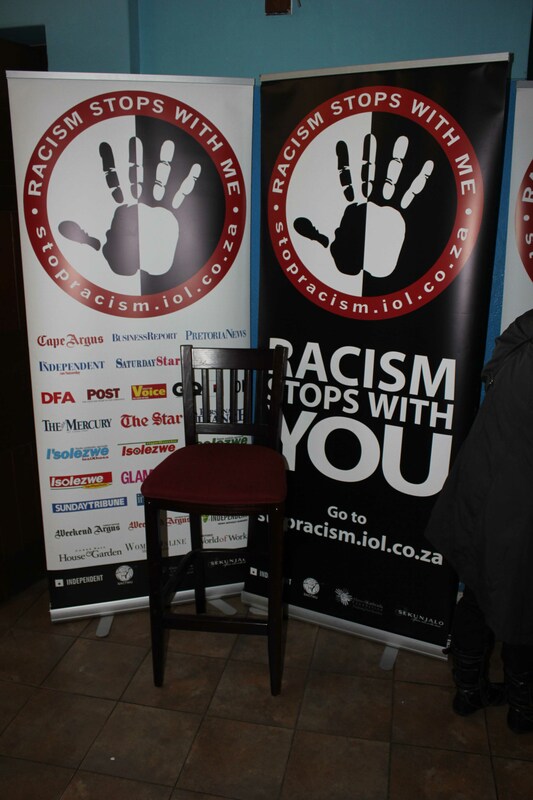 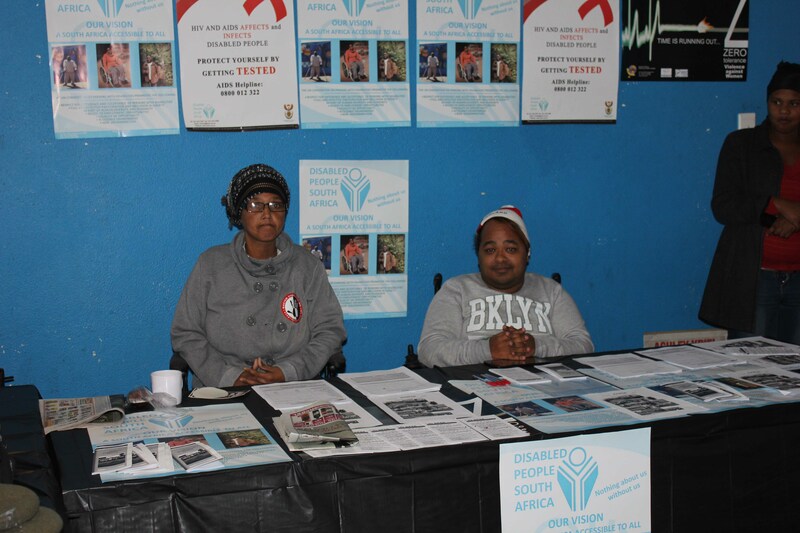 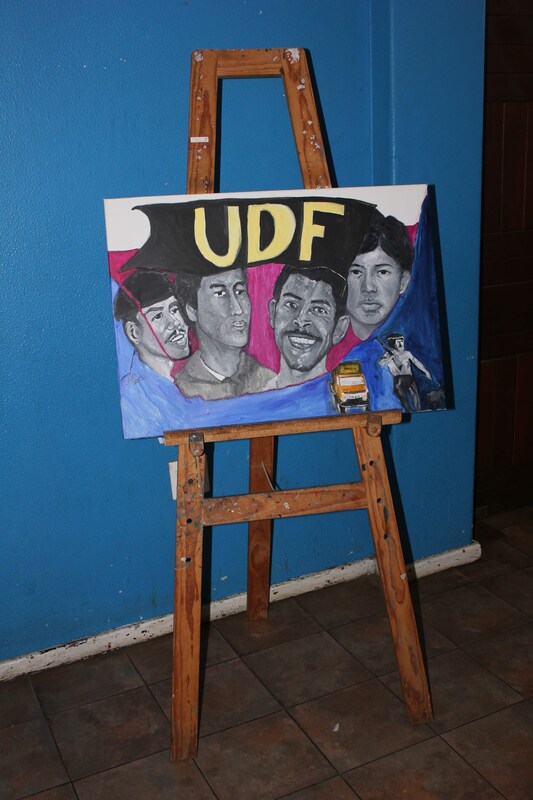 In addition were exhibition stands by the Disabled People of SA, Bonteheuwel Legacy Arts Co-op (BLAC) & the Racism Stops With Me campaign. 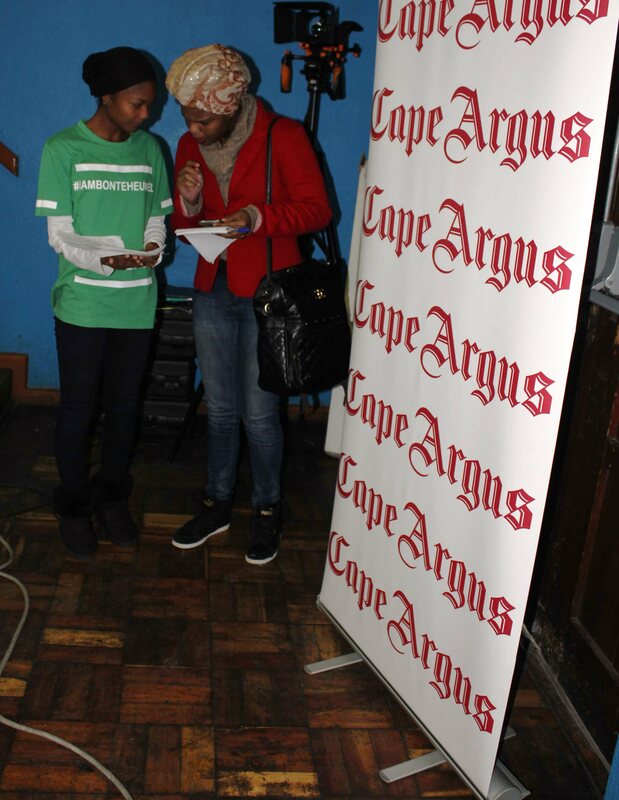 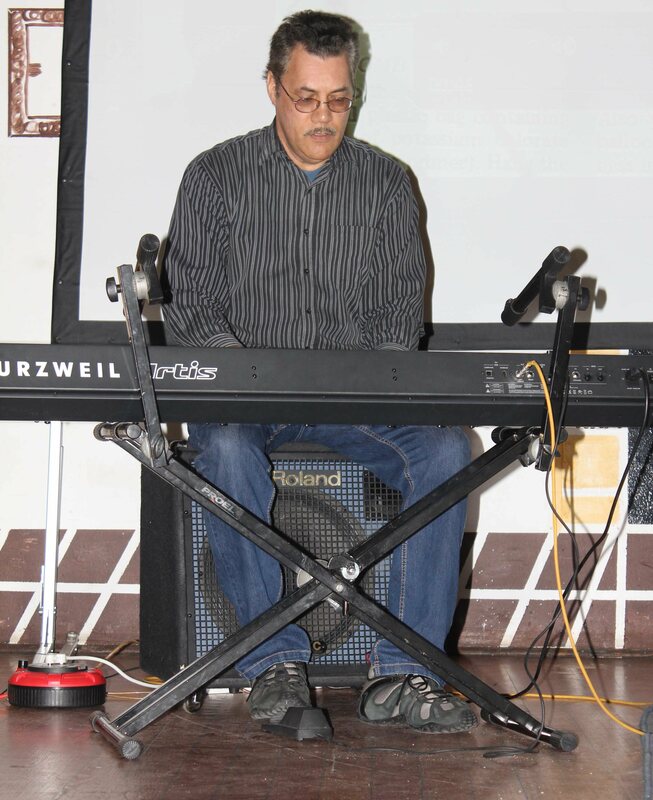 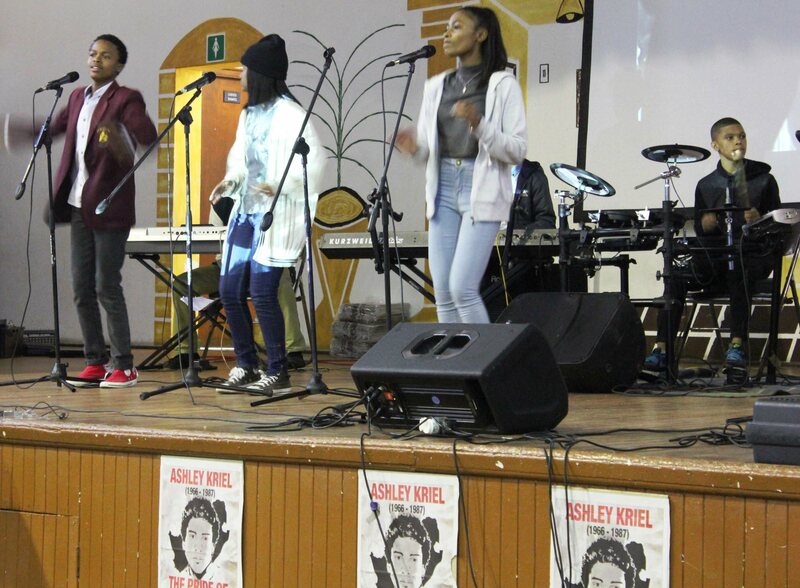 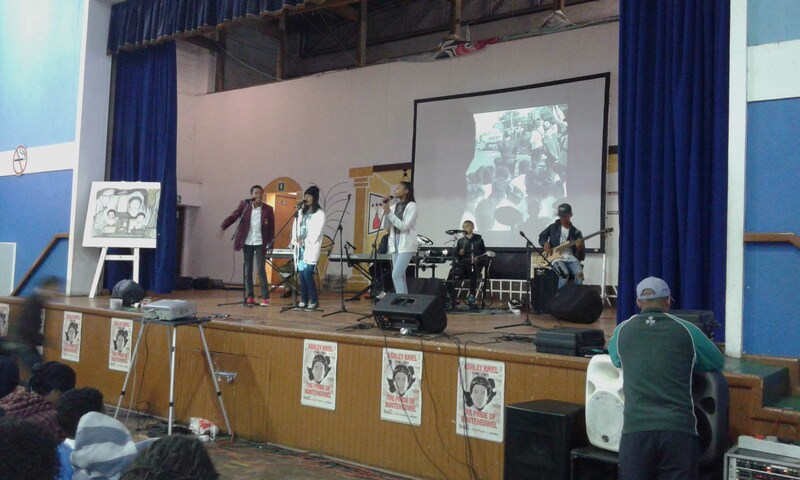 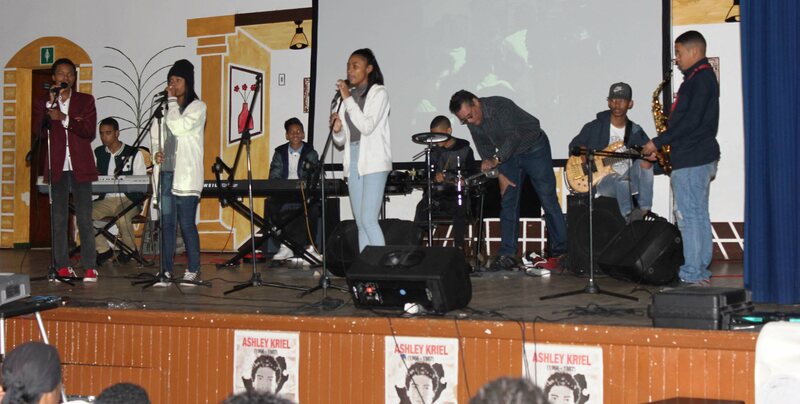 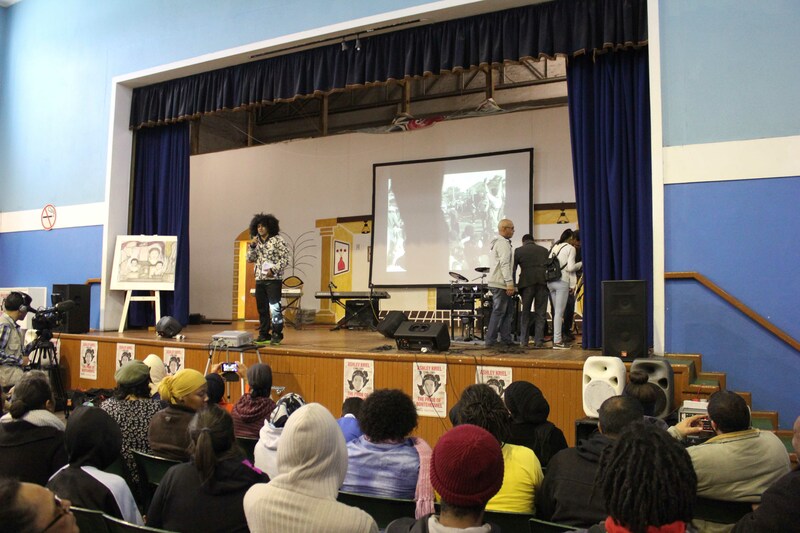 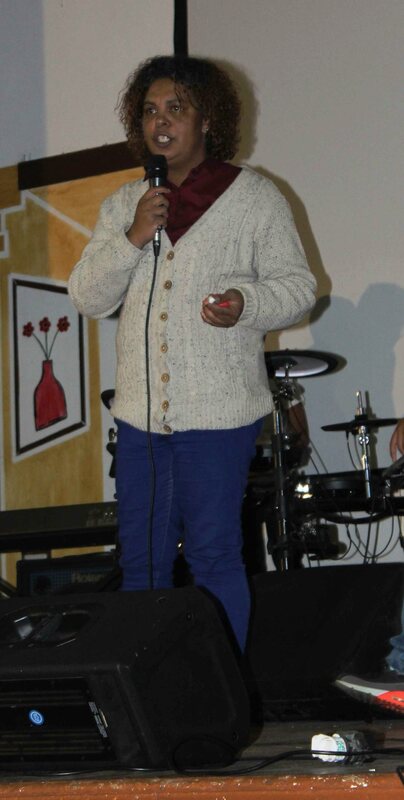 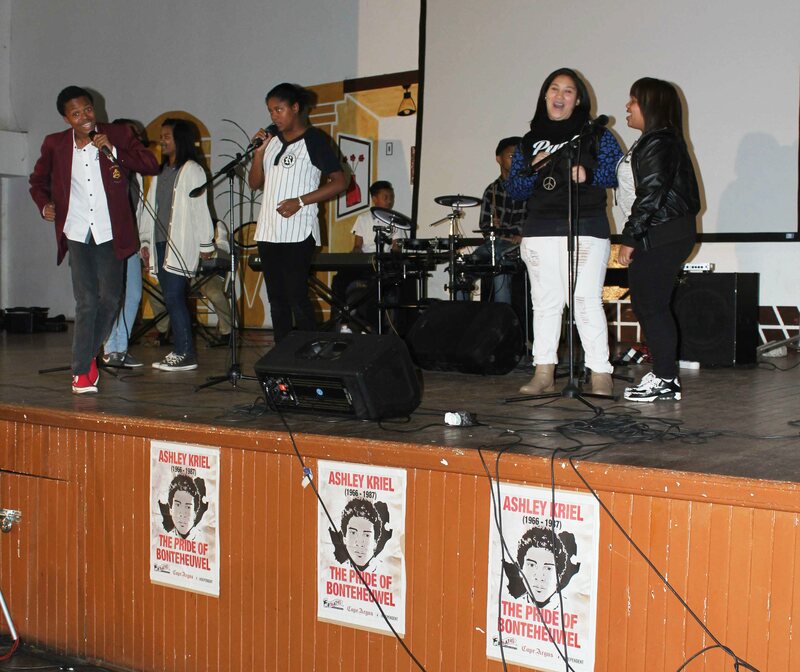 The programme kicked off with budding young superstars from Bonteheuwel’s own Jazz Yard Academy. 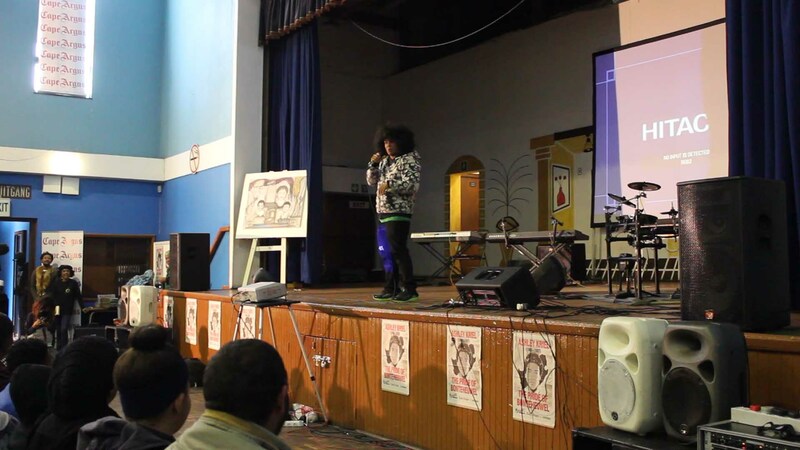 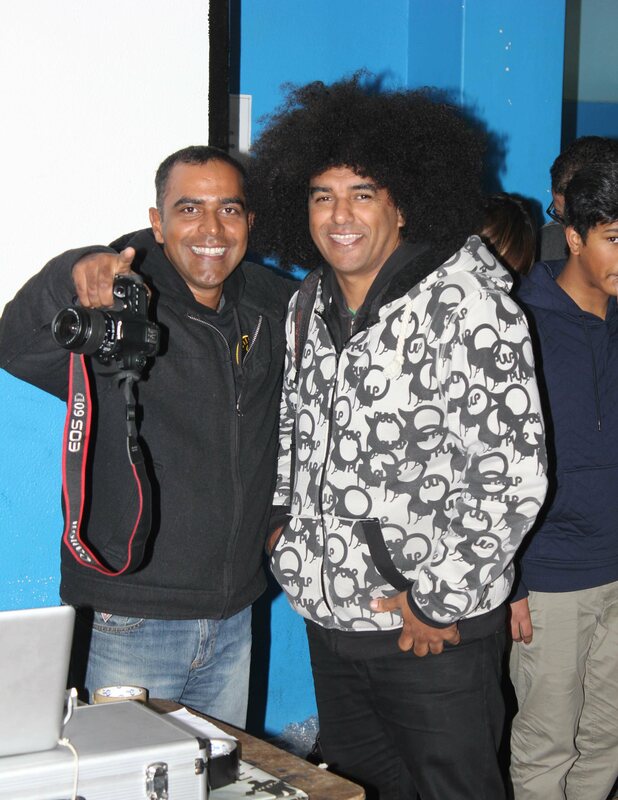 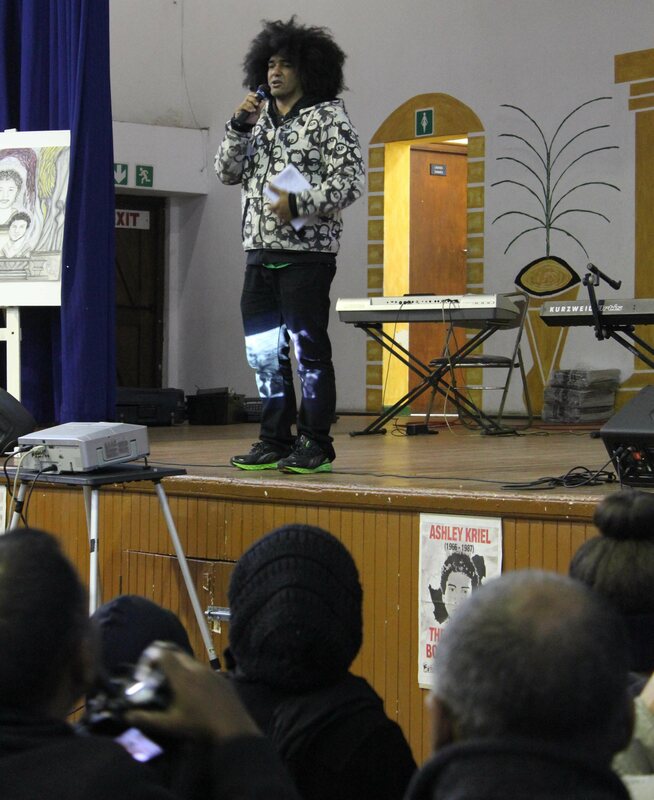 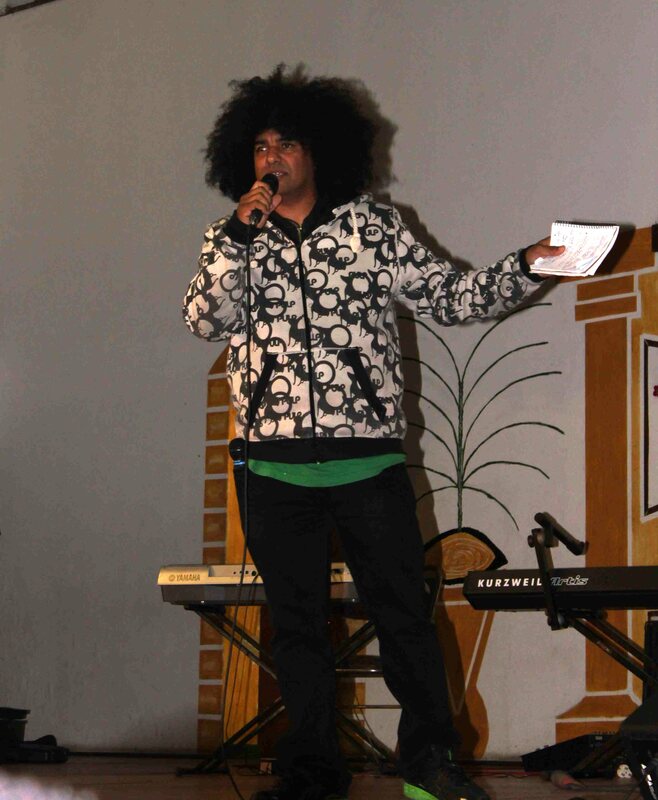 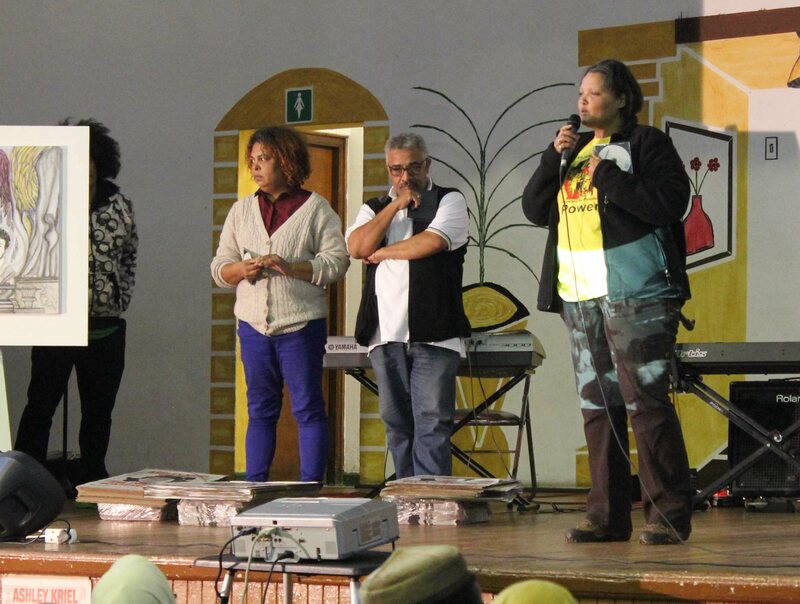 Emile Jansen, Cape Town’s hip-hop icon, was perfectly suited in his role as MC. 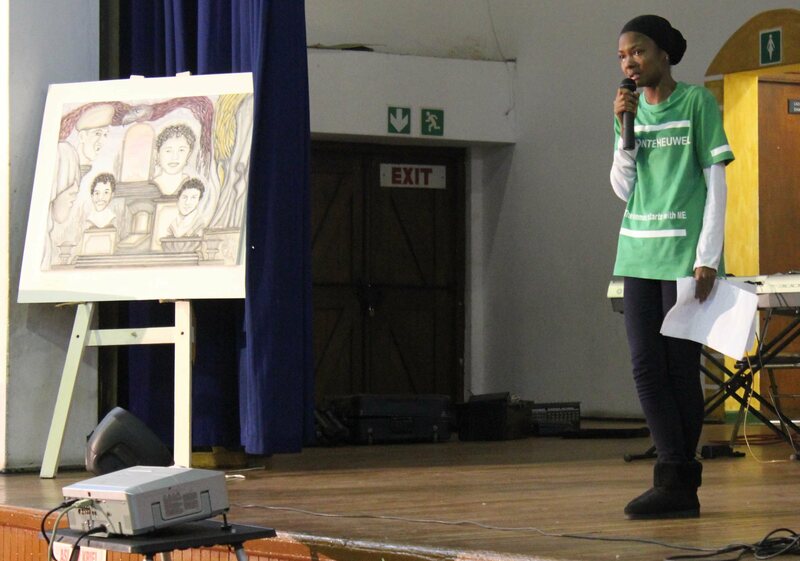 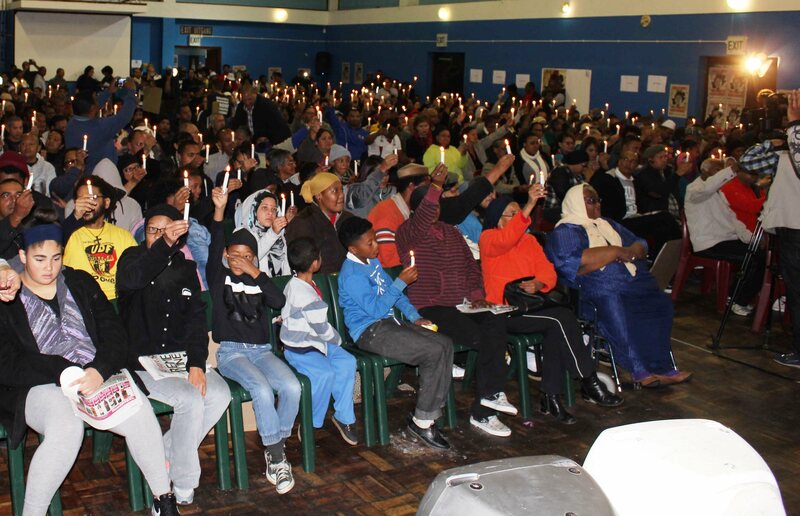 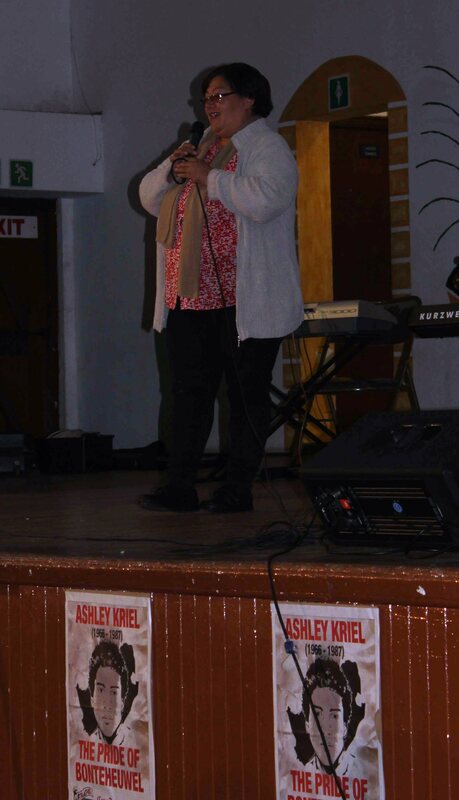 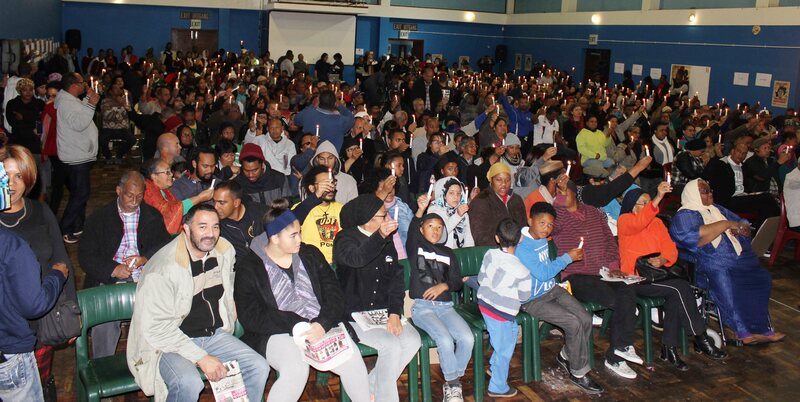 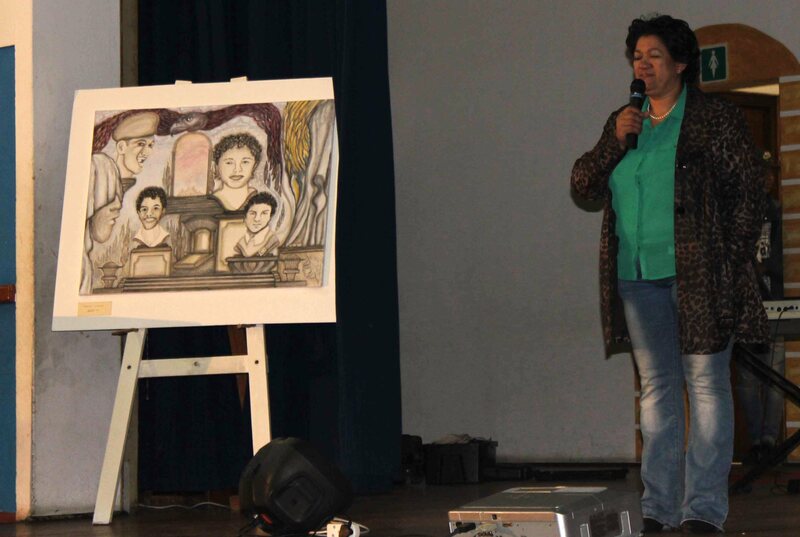 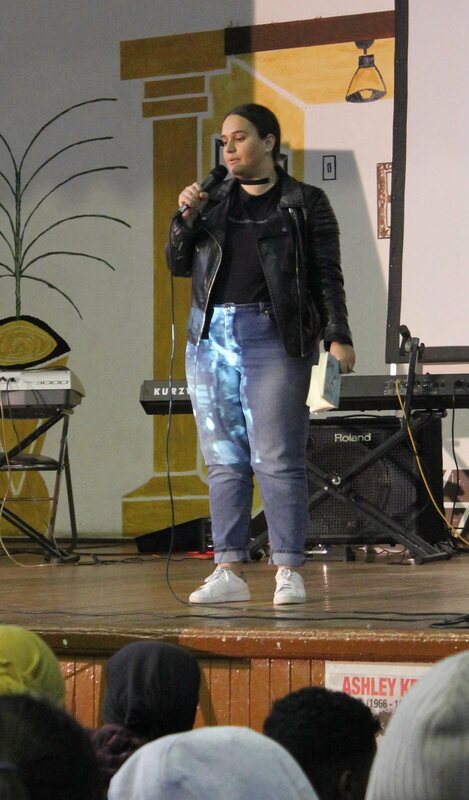 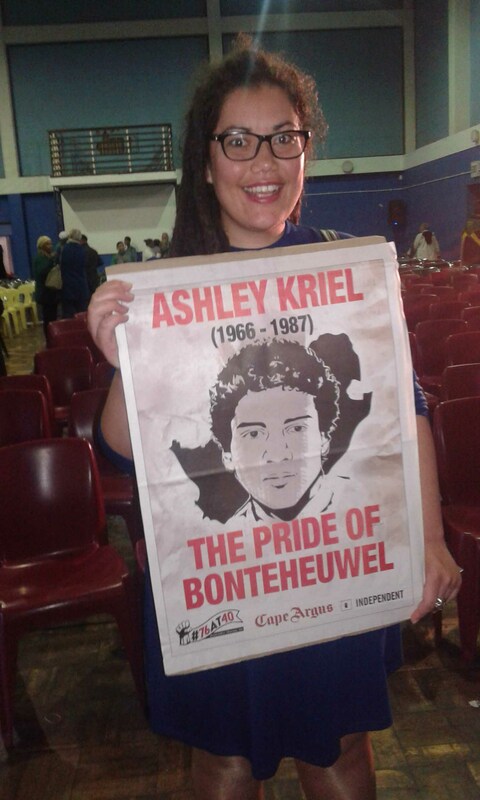 After a minute silence & a candlelight vigil , the crowd heard short talks from Aneesah Haupt (young up & coming Bonteheuwel athlete), Mrs Pather (the principal of Bonteheuwel High, which was renamed by the crowd to Ashley Kriel High), Melany Adams (sister of Ashley Kriel) & Alex Holz (Rhodes must fall). 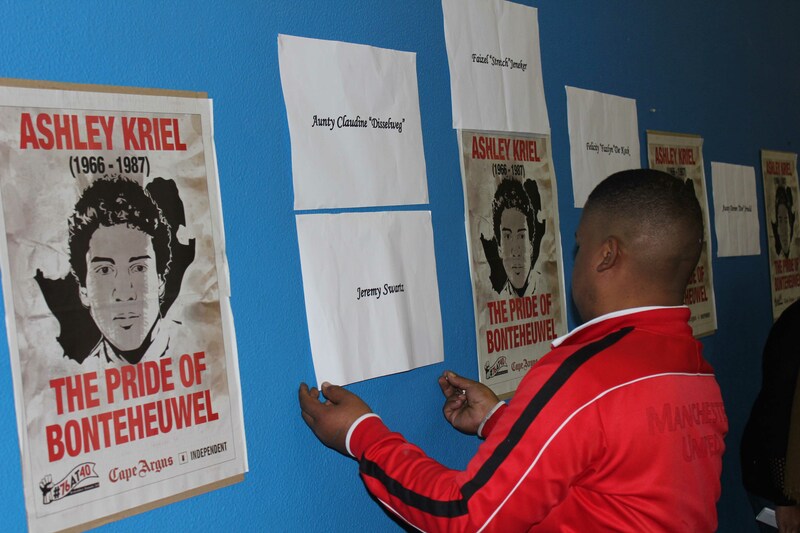 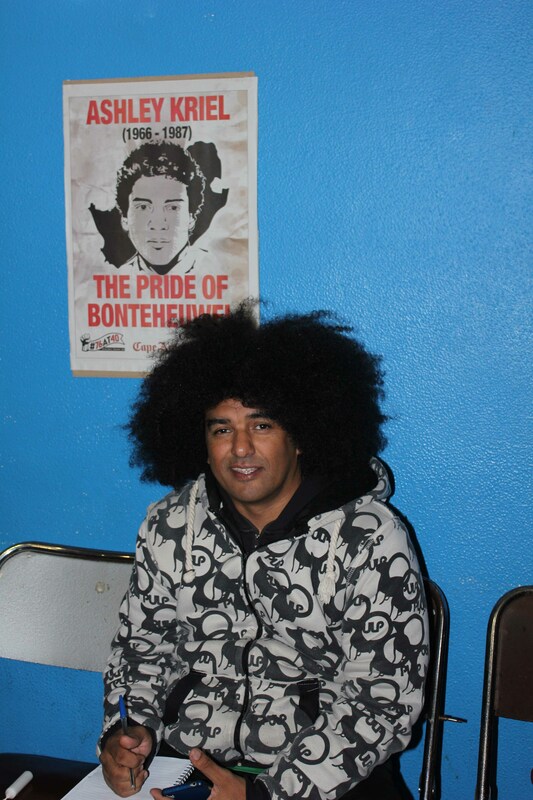 Grant Abrahams (of Bonteheuwel Peace Forum representative) also introduced a moving tribute to Bonteheuwel activist Geraldine Kennedy. 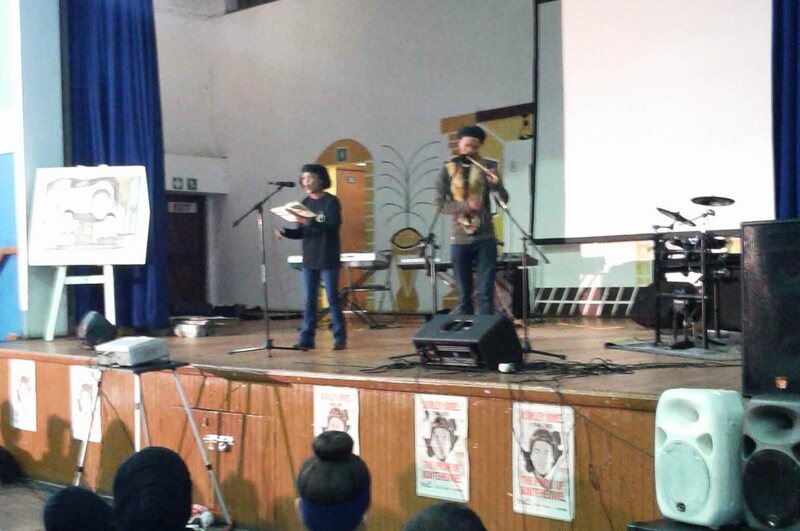 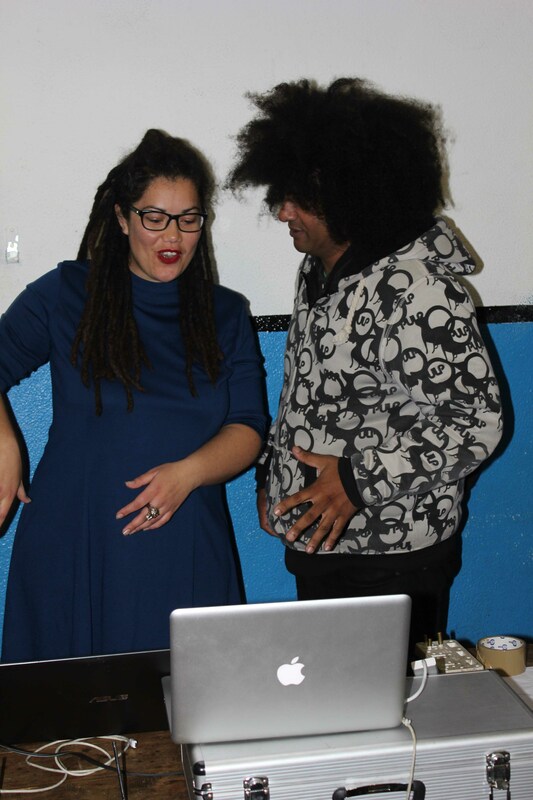 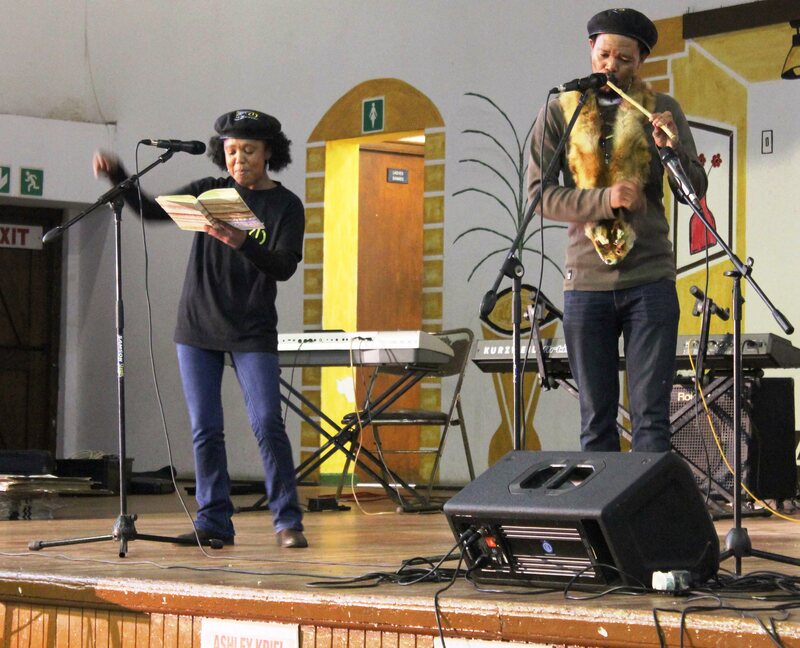 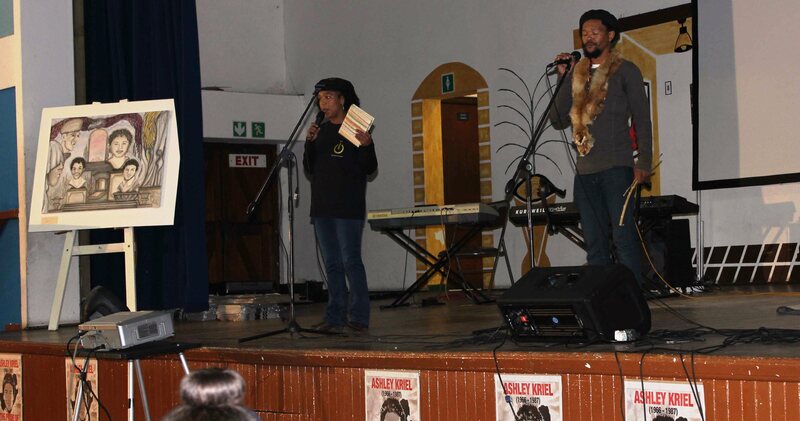 In addition to the performances by the Jazz Yard Academy, the crowd was also entertained by Emile & his break dancing protégé performing “Roar young lions” and some excellent spoken word poetry performed by BLAC which included music performed on a traditional bushman’s mouth bow. 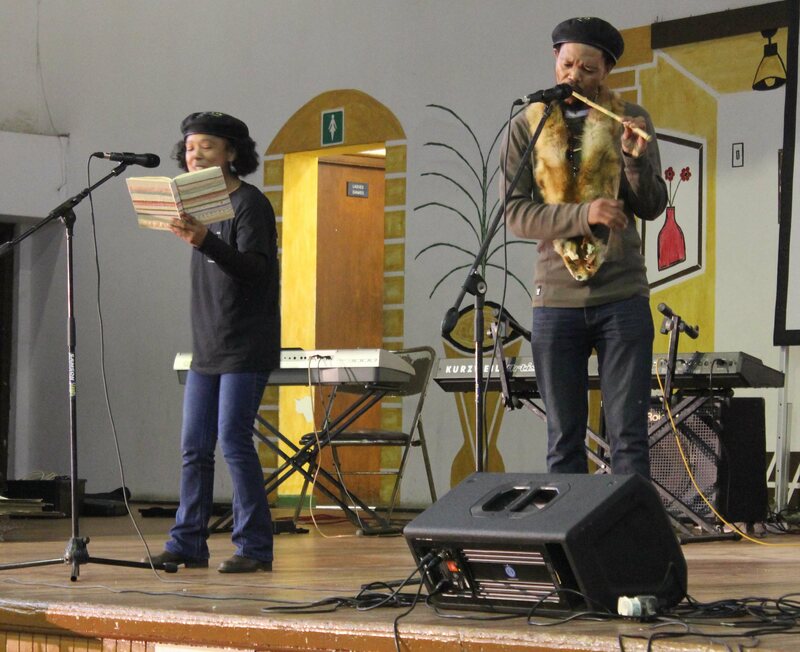 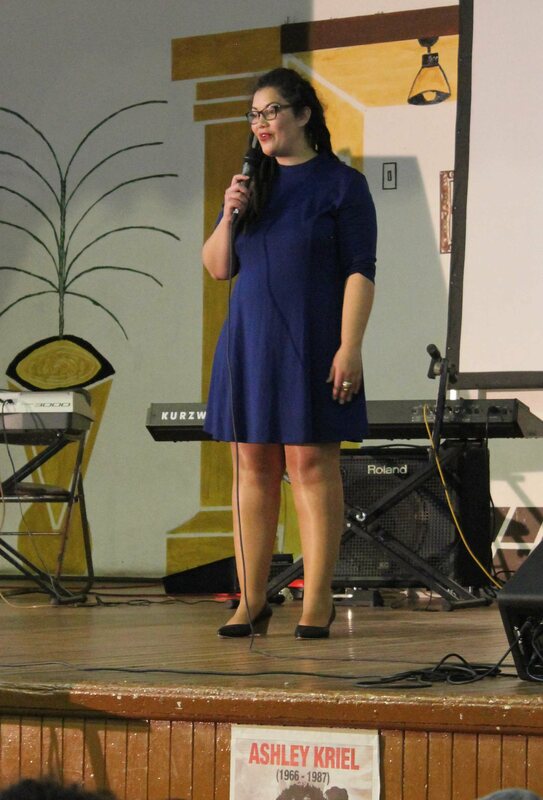 The programme included an emotional “handing over of the baton” ceremony. 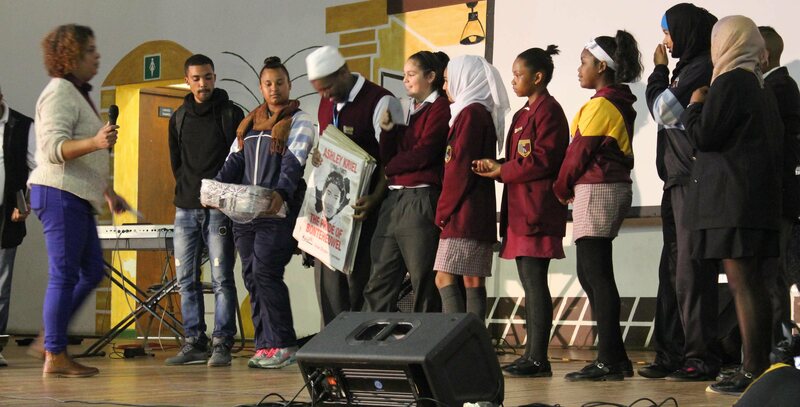 SRC leaders Henriette Abrahams, Lawrance Muller & Judith Kennedy of the previous generation passed the baton to current student representative leaders of Modderdam High, Arcadia High & Bonteheuwel High. 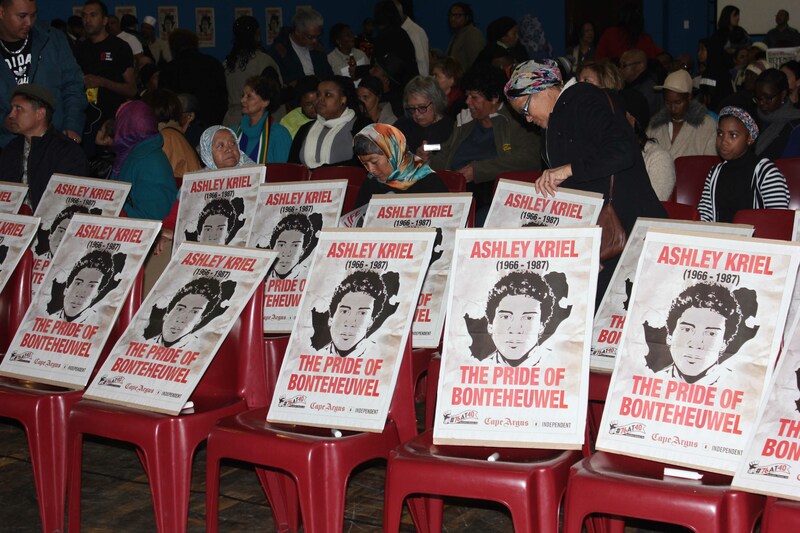 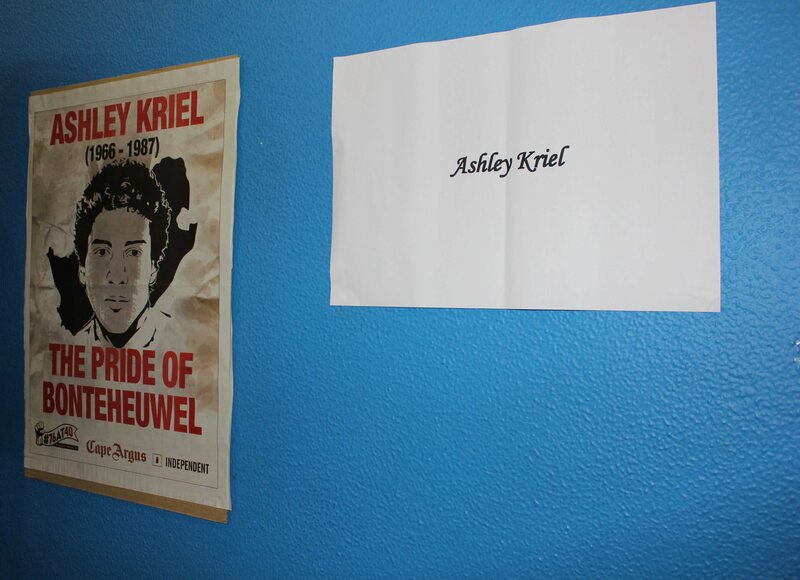 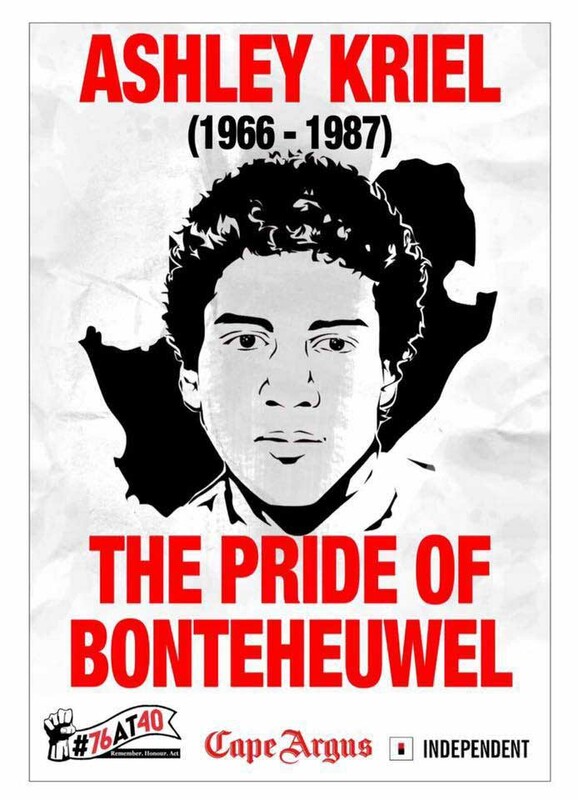 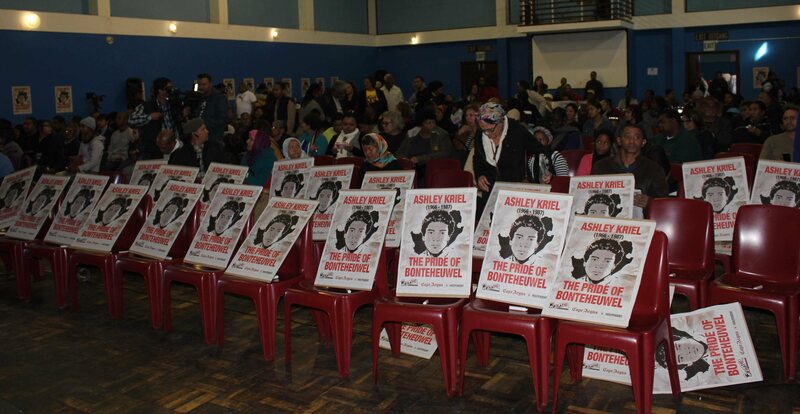 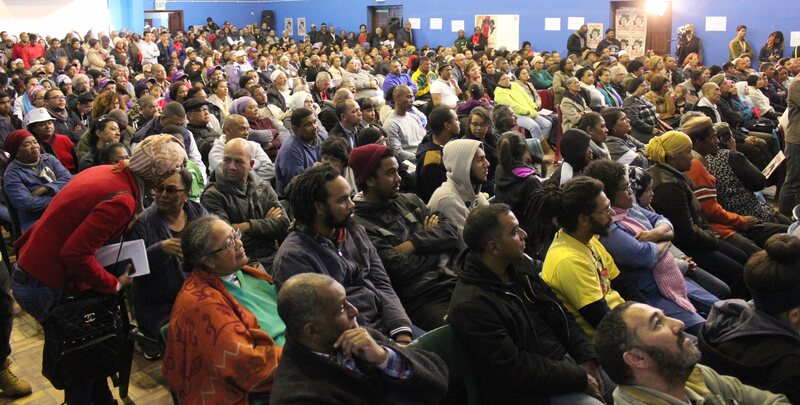 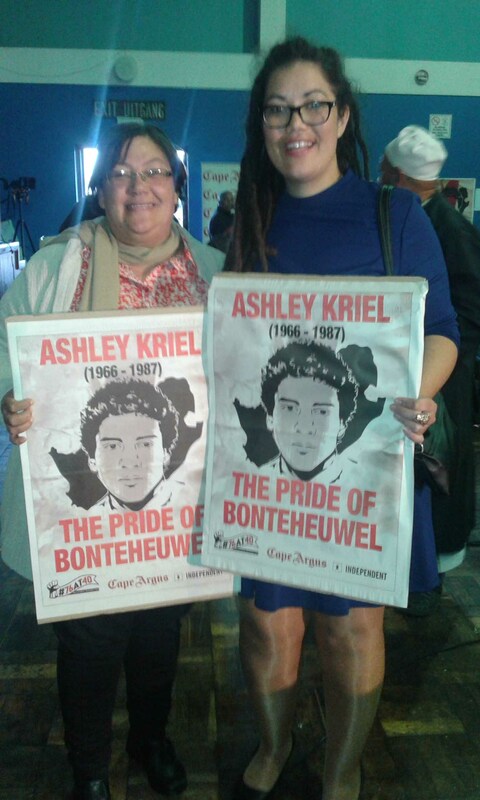 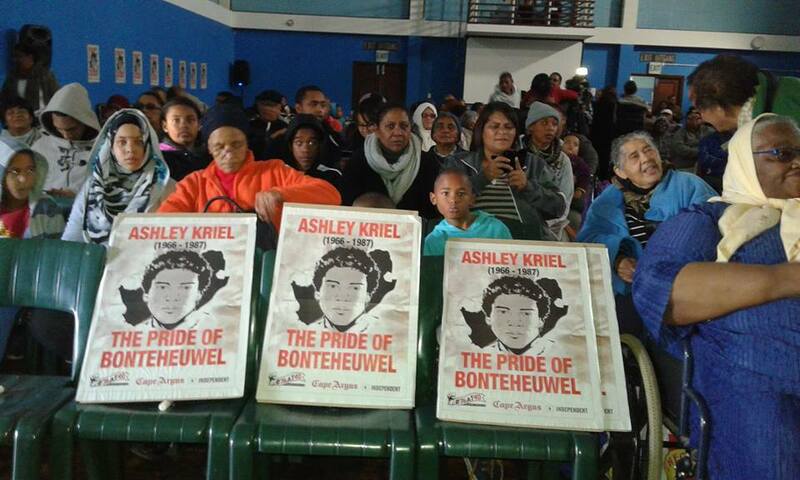 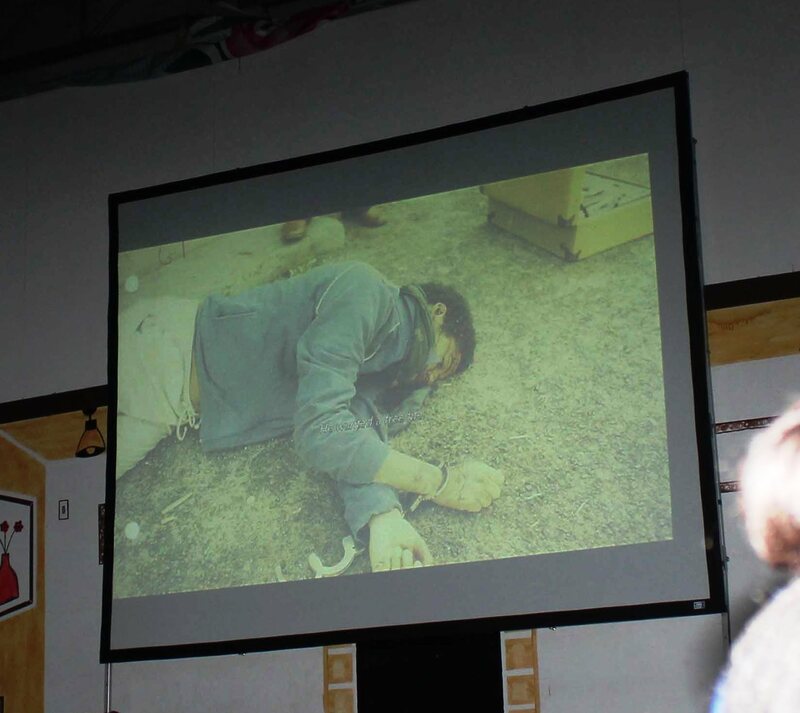 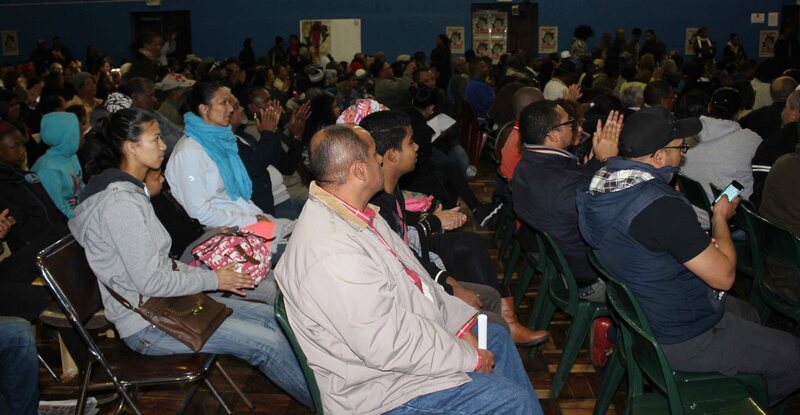 After a truly inspirational programme, the audience in a packed Bonteheuwel Civic center, sat in absolute silence & in complete captivation as the life story of their local hero, Ashely Kriel, played out on the big screen.